Michael Fredrickson, General Counsel at the Massachusetts Board of Bar Overseers, has contested reports which suggested his “personal reading” of Elizabeth Warren’s law practice controversy reflect the Board’s official position. Fredrickson stated that he did not purport to determine whether Warren violated the applicable law. He said he was just “speaking hypothetically” and not specifically as to Warren because “I know so little about Elizabeth Warren and her practice.” . . .
Fredrickson said he did not mean to suggest that there was any different standard for law professors, or that maintaining an “office for the practice of law” under the Rule 5.5(b)(1) required that it be an office exclusively or primarily for the practice of law. 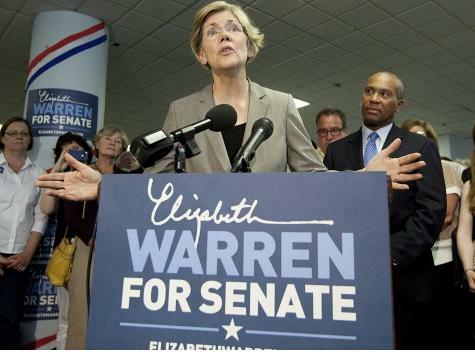 Jacobson’s report on Monday that Elizabeth Warren may have practiced law and operated a law office in Massachusetts without a license set off a media firestorm. The hotly-contested Massachusetts Senate race between incumbent Republican Scott Brown and Democratic challenger Warren remains a toss-up in the polls seven weeks before the election. On Tuesday, Megyn Kelly discussed the Warren law practice controversy with two legal experts on Fox News. As lawyers and commentators continue to disagree about the details of the Warren law practice controversy, one undisputed fact has emerged. Scott Brown’s criticism of Professor Warren’s legal work for Travelers Insurance at last Thursday’s debate is one issue that clearly has legs.